Ok so i apologise for how long its taken me to do this but i have been crazy busy lately i just haven’t had no time.. Thanks Carolanne for the nomination on Twitter. 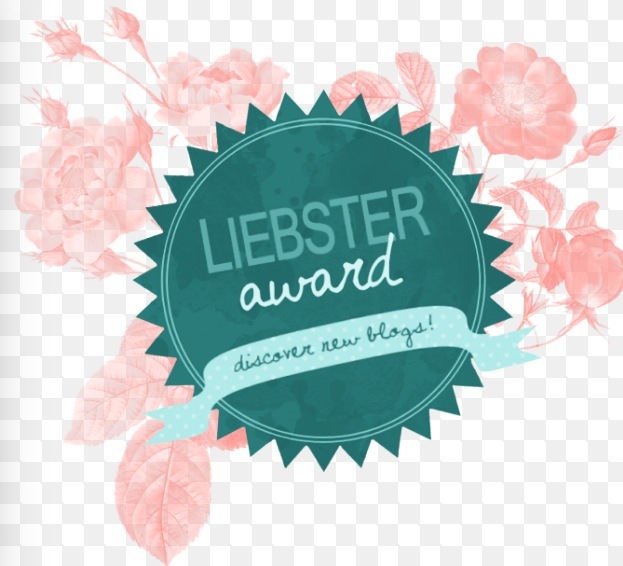 The Liebster award is a fun way to help promote new bloggers so i think its good to be a part of! So here’s my 12 questions..
Would you consider becoming a Vlogger and why? Ive actually never considered this? i wouldn’t say it doesn’t appeal to me as I’m confident and would probably enjoy it as i love to talk i just don’t think i could find the time nor would i be able to produce good enough vlogs that would interest people. Tbh i think many bloggers feel this way. What’s your go-to outfit? At this moment in time i would probably say my high-waisted black skinny jeans, military boots and a casual top. I like to be comfy a lot of the time and find this is perfect to chill in although with working so much i seem to be living more in joggers or pjs! What do you enjoy doing in your spare time? My spare time recently mainly consist of blogging, doing mine and others nails, shopping and catching up on sleep! Something that you really want to buy but can’t afford/get hold of? hmm this ones tricky as there’s so many things i want to buy but I’m being good and saving – id probably have to say i really want a mulberry bag, i can’t justify spending that much on a bag when I’m saving. Your favourite blog atm? I can’t make my mind up on this one yet? I’ve been looking at so many blogs recently for inspiration and to just read and with the many I’ve read I’m yet to make my mind up on a favourite. i need to invest more time into reading more. Whats your dream job? My dream job would be to work as an RSPCA inspector, I’ve wanted to ever since i was young as i have a strong love and passion for animals and would love to help promote welfare and prevent neglect. Favourite junk food? CHOCOLATE hands down! I’m a BIG chocolate fan. Dairy milk buttons and milky bar are my favourites. Tea or Coffee? TEA. i love a cuppa tea and literally drink it all day long. would love a tea tap! I’ve only recently tried coffee (a latte) and I’m yet to decide whether i enjoyed the taste? i find it very strong. One product you couldn’t live without? Have to be my mascara, i love benefit they’re real! Your on a desert island and can take three of your possessions with you, what do you take? This ones easy, my iPhone, my dog and my bed. Describe your style? This ones hard without sounding like your licking your own bum.. i also tend to really mix up my style depending on my mood and where I’m going but i would say my style is very trendy, feminine, urban and classic. What do you enjoy most about blogging? I love to share ideas/reviews and products with others, it makes me feel happy if i know I’ve helped someone out with something that i didn’t find help on. i enjoy gathering items and outfits and taking lots of pictures. Now i have my new camera and a tripod coming I’m excited to get blogging some outfit posts! so keep a look out followers! Favourite make-up product you can’t live without? Most expensive item you own? ← FINE FLAT HAIR? Look no further… How to get VOLUME. Thanks love! I’ll hopefully get round to doing this sometime this week! 🙂 x ps I feel the same about mulberry bags! They’re beautiful but I can’t justify saving all that money to then spend on a bag!